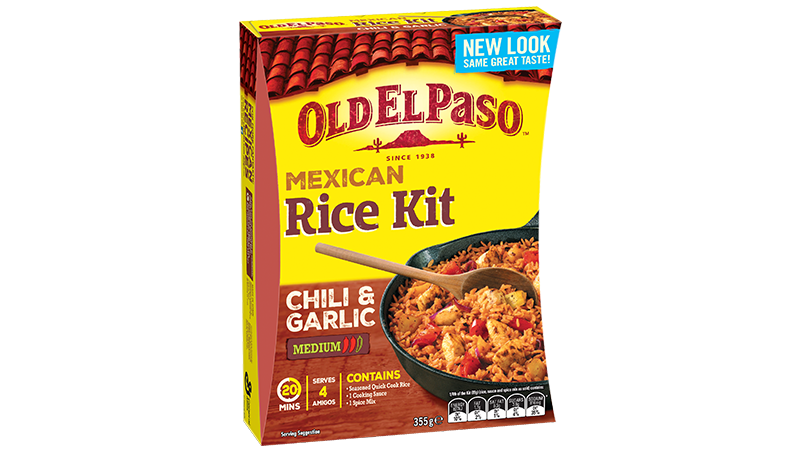 This Old El Paso™ recipe with pork meatballs and chargrilled corn serves 4 and is made using our Chili and Garlic Mexican Rice Kit. 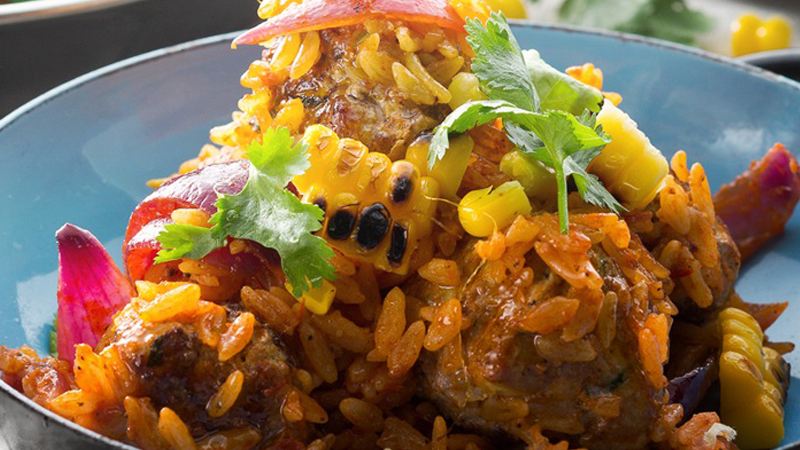 Mexican cuisine is zesty and full of flavour and this meal is no exception. Packed with fresh ingredients like corn, red onion, zucchini and coriander it is sure fire people pleaser. Sizzle Away! Brush corn cobs with half the oil. Heat a griddle pan or BBQ, char corn over high heat for 4 minutes, turning often. Remove from heat, slice kernels off and set aside. Combine pork, zucchini and egg. Roll into walnut sized balls. Heat remaining oil in a frying pan and fry meatballs turning occasionally over high heat for 5 minutes. Add onions and seasoned rice and give it a good stir for 1 minute. Let it simmer! Add sauce pouch, spice mix and water to pan and stir well. Bring to the boil, reduce to medium heat and simmer for 10 minutes, stirring gently from time to time. Serve and Enjoy! Top with charred corn kernels and take pan to table. Enjoy with family and friends.